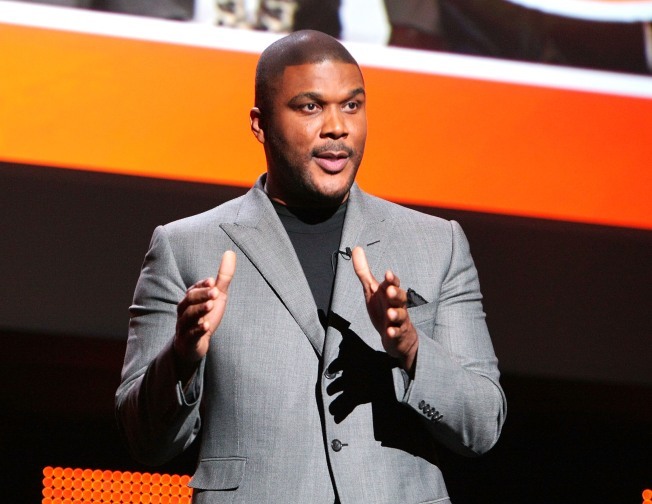 Tyler Perry of "Madea" fame will be creating a foundation for the school. “Exteme Makeover:Home Edition” Final Surprises: $100,000 and some help from Tyler Perry was originally published on Housing Complex on Aug. 31, 2009, at 6:07 p.m. If you’ve seen one unveiling, you’ve seen ‘em all pretty much -- but man, sometimes, they still pluck the heartstrings. Yesterday, “Extreme Makeover: Home Edition” did its huge, emotional showing of its latest creation: A new property for the Fishing School, an after-school program, located in Deanwood. But this revelation included a few other shockers: Two big $50,000 checks for the group’s founder Tom Lewis and directorLeo Givs.One was presented byMillicent Williams, president and CEO of the D.C. Children and Youth Investment Trust Corporation. The other came from the Wachovia Foundation, of Wachovia Bank. Williams says her 10-year-old organization has doled out $50,000 to $75,000 checks to the Fishing School before. But they’d applied for grants this year -- a competitive process -- and didn’t know if they’d receive it. So this was there notification, in effect. The old school building was a former crackhouse when the founder purchased it, according to Williams. The new building has space enough to house twice as many children as before -- but it probably doesn’t have budget quite yet to handle a population of that size. “As we all know, it takes more than brick and mortar. Their fundraising efforts need to be ramped up significantly,” she says. Actor/producer Tyler Perry, who was in D.C. with “Extreme Makeover: Home Edition” as celebrity volunteer, was so moved by Mr. Lewis and mission of The Fishing School he announced that he was personally forming a foundation to support the school.